The establishment of the Youth Services Department for the City of Decatur was developed after the Mayor formed a Task Force to study and find solutions to the economical, social, and educational problems that directly affect the quality of life of our young citizens. One of the Task Force recommendations was to employ someone to be in charge of disseminating information about problem/solution programs, gather data, identify targeted at-risk youth, promote education efforts, review enforcement programs, and work with public and private agencies as well as volunteer agencies to coordinate and implement programs which would mitigate the social disorders underlying youth criminal activity. 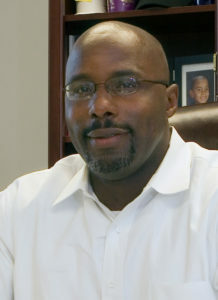 In October, 1994, Bruce W. Jones, LBSW, was hired as the City of Decatur’s Youth Services Director. The goals of the Youth Services Department are to help facilitate and encourage a community-wide effort in combating the problems in our community involving our youth; such as, the high rate of school drop-outs, illiteracy, unemployment, teenage pregnancy, drug and alcohol use/abuse, gang activity, juvenile delinquency, and poverty, just to name a few. One of the primary functions will be to work cooperatively with existing agencies to enhance interagency communication and cooperation, which will result in the children being the beneficiary of our collective efforts. Also, this department will assist our law enforcement agencies by aiding in the rehabilitation of juvenile delinquents, youth felons, and juveniles who are serious habitual offenders. This department will support activities to deter gang membership. The Department of Youth Services will focus its efforts on at-risk youth and young adults from every socio-economic class and all areas of the community. However, the realization is that children from low income areas and minorities may benefit from our programs and services more efficiently. The goals of the Youth Services Department are to assist children in developing self-esteem by promoting a “Yes, I can” attitude, establishing a sense of self-worth by teaching children to excel on their individual levels, and building character by interacting with confident, successful adults to provide positive role models and mentors. With a coordinated community effort in helping to combat problems facing our youth and young adults, the City of Decatur’s Youth Services Department will be an asset in changing young minds. View our blog and calendar here.